let's face it. we are all pretty much surgically attached to our phones, and i am no exception. my current phone is on its last leg, which is a galaxy S3, which may as well be a dinosaur. i really do not like shopping for a new cell phone. it is equivalent to the pain of shopping for a new bra or new glasses (that too is coming up). so the life long question begins: apple or android? 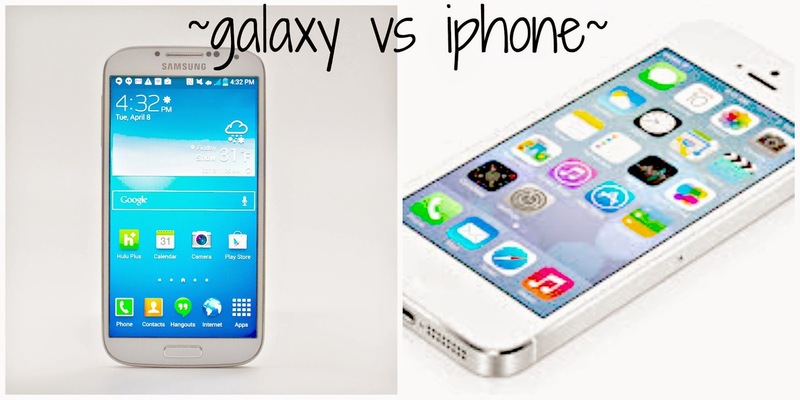 galaxy or iPhone? i have never had an iPhone and have always been somewhat reluctant to join the cult following behind it. but i can't help but wonder, is it really better? if i am going to spend money on purchasing a new phone, i want to get something that is worth it. so let me know your opinion on this guys. i really need some feedback on both phones. comment below or tweet me @lifeinmascara.